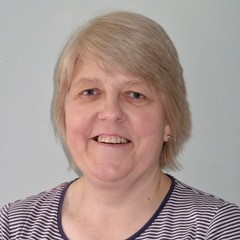 I originally trained as a nurse, specialising in the care of renal patients and discovered complementary and alternative therapies (CAM’s) in 2001. After being inspired by a book on Craniosacral Therapy by the late Dr. John Upledger, I undertook postgraduate training in Craniosacral Therapy through the Upledger Institute in the UK. They provide training for healthcare professionals and practitioners trained in other CAM modalities. I have undertaken both Craniosacral Therapy modules (CSTI and CSTII) and both SomatoEmotional Release modules (SER I and SERII). Having studied therapeutic massage during the first year of my degree in therapeutic bodywork, I ultimately discovered advanced abdominal massage techniques, having been introduced to The Arvigo Techniques of Maya Abdominal Therapy®, an ancient form of healing taught in Belize and the USA by Dr. Rosita Arvigo, an American Naprapath. I undertook my Professional training in 2007. I have also undertaken further advanced abdominal massage training with Marty Ryan of Love Your Guts Seminars. In 2009, I decided to embark on the Anatomy Trains Structural Integration training (ATSI), undertaking the three stage training in Oxfordshire, UK. I graduated in 2012 and have been practicing Structural Integration and Bodywork ever since. In September 2017, I travelled to the Stretch to Win Institute in Arizona to undertake the Level 1 training in Fascial Stretch Therapy™. I am a Certified Level 1 Fascial Stretch Therapist, which is an excellent complement to my practice and can help resolve issues more quickly.